If you are thinking about installing new window coverings in your home, then there might be a few benefits that you haven’t yet considered. Some homeowners know that new window coverings would look good, but they are worried about the cost of the investment. Here at Blinds and Drapery Showroom, our goal is to help you upgrade your window coverings while saving money at the same time. We offer unbeatable services in Wynnewood, PA, and the surrounding areas. Each customer can talk to an experienced team member. We maintain great communication with each customer to provide you with the services that best match your needs. Do your window coverings offer the privacy that you desire? If you like enjoying your home without the neighbors looking in the windows, then you need to consider the privacy of your current window coverings. Choosing the right products will make it easy for you to improve the privacy of your living space inside. Better privacy is essential to keep your family protected from outside neighbors. At the same time, you will be able to relax in your home knowing that the living area is completely private when the blinds are closed. Does your home look modern and stylish, or is it time to upgrade the décor? Window coverings have a direct impact on the overall style and appearance of your property. If you have outdated drapes and broken blinds, then you should consider the benefits of new blinds, shades, or shutters to improve the style of your property. You have the option to choose the materials, colors, and features that will best match the interior of your home. Coordinating these details can be beneficial to give your home a consistent decorating theme and improve the overall appearance. In addition to improving the aesthetics of the home, high-quality window coverings are also beneficial to boost property value. For example, high-quality shutters will boost the value of your home more than basic drapes from a big-box store. Even if you aren’t planning to move right away, you can enjoy the aesthetic benefits right now. Then, the home will be ready to sell when it is time to move in the future. By choosing the right window coverings, it is possible to boost the energy efficiency of your home. Windows are often the area where the hot or cold temperatures are transferred from the outside weather. Even if you have energy efficient windows, you can boost the energy efficiency of your home by upgrading the window coverings. If you are worried about energy efficiency, then it is essential that you talk to us. We will help you identify the window coverings that will help to keep your windows insulated. By focusing on energy efficiency, you will see that it is possible to decrease the amount of money you are spending on monthly utility bills. Are your pets and children safe in your home? Old designs of window blinds and shades sometimes use cords that can be dangerous to young children and animals. Instead of risking the chance of injury, it is better to choose window coverings that are made with built-in safety features. For example, you might consider a retractable lift cord or even cordless designs. As a result, you can reduce the likelihood that your child or pet will be injured because of the window coverings. 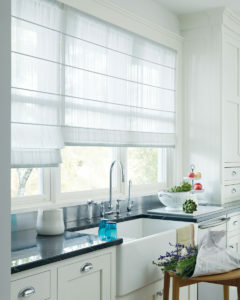 At Blinds and Drapery Showroom, we want to help each customer save money on their purchase. Just because you need new window coverings, doesn’t mean that you need to spend a lot of money. We want to help you access high-quality products that fit within your budget. Since we’ve built solid relationships with the manufacturers, we can offer competitive prices to our customers. You will see that it is easy to get high-quality window coverings and stick within your budget at the same time. Just because you are getting a lower price, doesn’t mean that you will be sacrificing quality. We negotiate to get low-cost products so that you have access to the quality and affordability that your family needs. If you have questions about the cost of installing new window coverings, then you are always welcome to contact our team anytime.